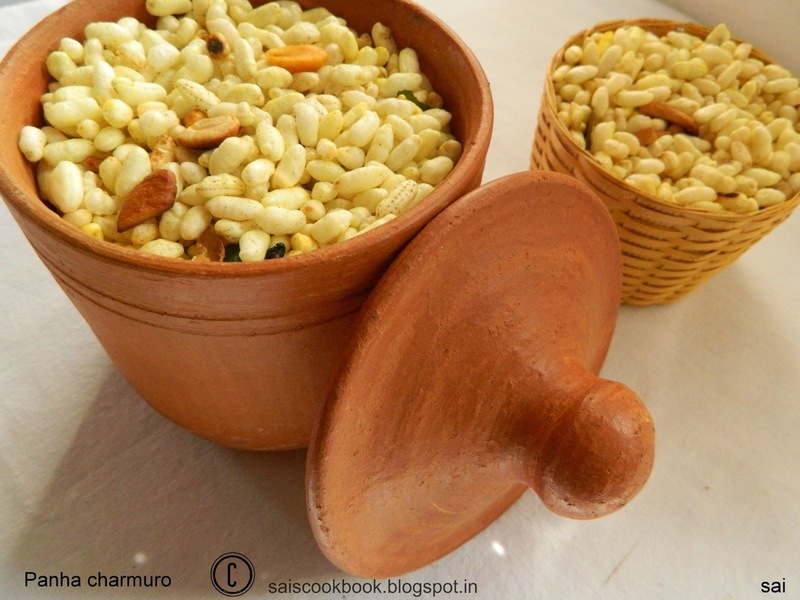 Panha charmuro means seasoned puffed rice.Puffed rice is known by names like kurmuro,pori etc.For more information on puffed rice refer here.This is a healthy snack which can be enjoyed anytime of the day.There are many recipes with the puffed rice which I will upload when I prepare it.You may add onions, tomatoes,coriander leaves to this mixture and relish it.You may prepare bhelpuri too.What I like in this mixture is, I like to pick roasted gram dal and groundnuts and eat.Do you ll also like to do so?When we were kids Amma used to make paper cones and fill it with charmuri or groundnuts in it.And we used to enjoy eating that way.Puffed rice also reminds me of Sringeri temple where devotees feed the fish in the temple pond (Tunga river) and hundreds of fish gather together to eat the puffed rice.Mangalore is very famous for charmuri upkari,a masala flavoured puffed rice,very famous street food, savoured mostly during temple festivals or in the fairs. Definitely I will share the recipe soon with you ‘ll folks.As of now note down this recipe. Heat oil in a pan splutter mustard seeds,add curry leaves and all the seasoning ingredients. Off the flame and add turmeric powder. Switch on the flame again in simmer and add the puffed rice,salt,sugar and fry for a minute or two and off the flame. You may also substitute with asafoetida instead of garlic. 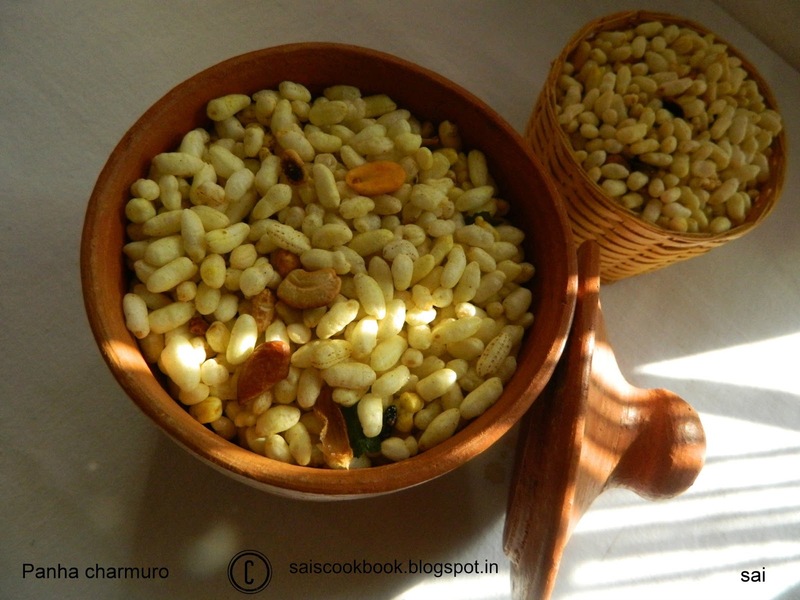 You may also roast the raw groundnuts separately in oil until crisp and add it to the mixture.